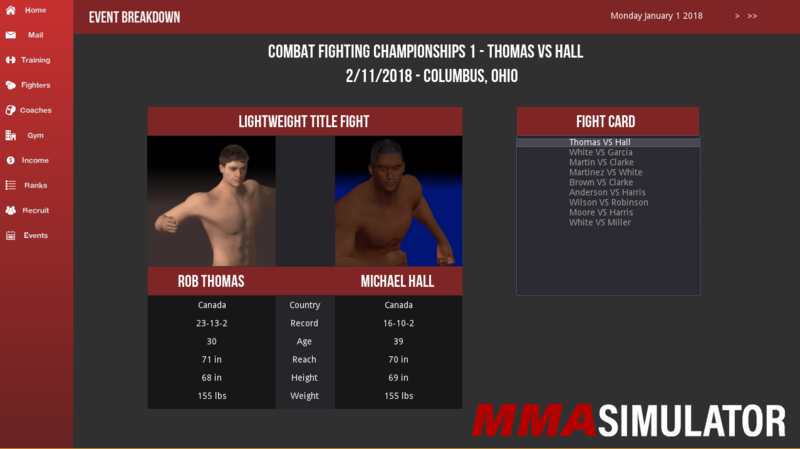 Create your own fightersCreate the fighters YOU want to see fight! 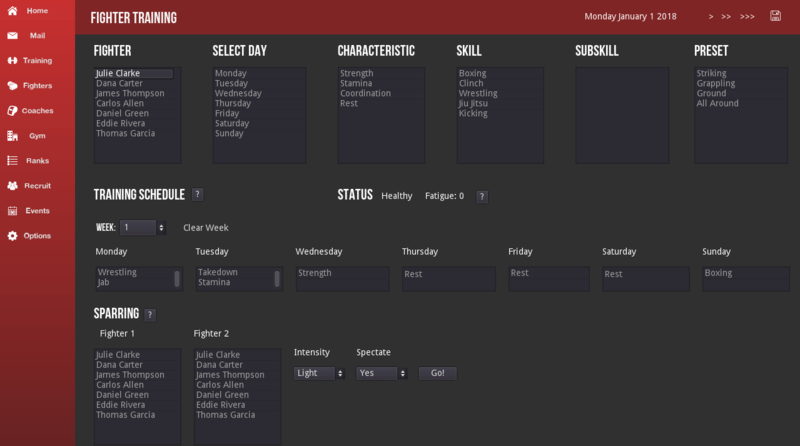 Whether that a striker, grappler, or submission artist - you can create them. 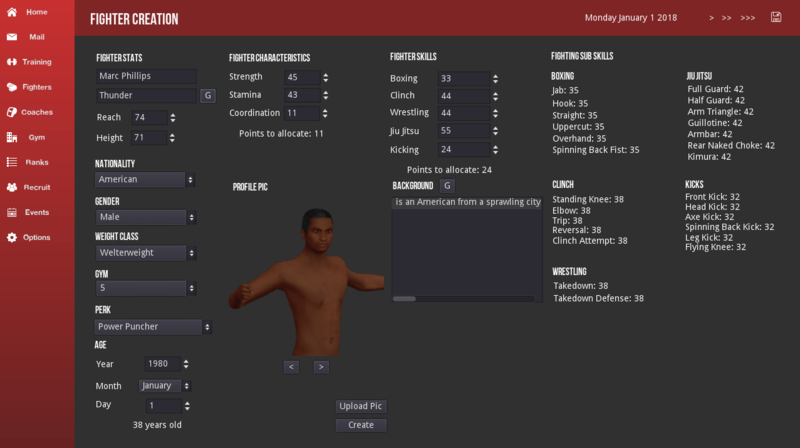 Train three characteristics, five martial art disciplines and 26 sub-skills for complete customization.Every skill matters in MMA Simulator. Having a fighter that specializes in a few strikes can be more dangerous than a jack of all trades! 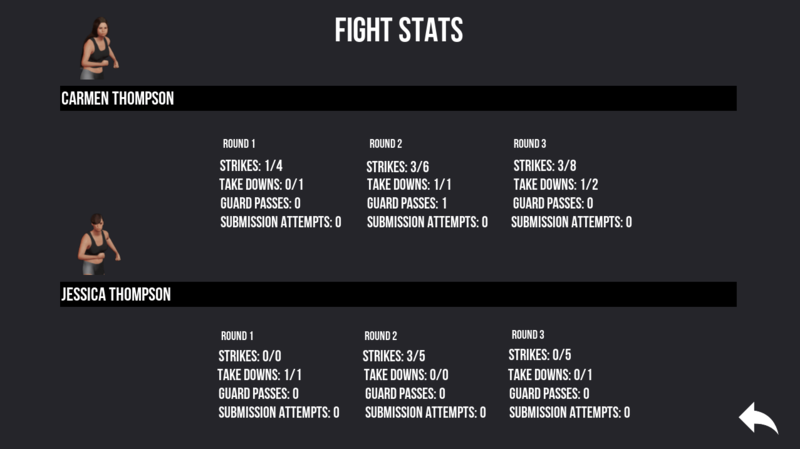 Robust Combat SystemText based, detailed, and realistic combat is what MMA Simulator excels in. Fights can go anywhere a real fight does - Standing, Clinch, and Ground. Positioning matters and submissions go through several stages depending on their complexity. The dynamic is completely different between two fighters! Manage your fighter AND coach rosterTrain your fighters and recruit new ones with promise to rise to to the top of the MMA world! But where could you get without coaches? Hiring coaches will allow you to train your fighters faster and take their skills to higher levels than lower coaches. Take your gym to the next levelManaging a gym means everything from picking the best location to expanding in size to accommodate more fighters, and manage buying equipment to help your fighters train.